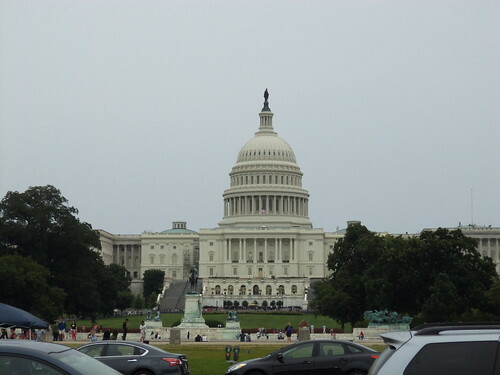 If you do a Google maps search for Washington DC, it's extremely easy to find the Capitol, the Washington Monument, The White House and the Lincoln Memorial. Just zoom in until you see a large expanse of green. 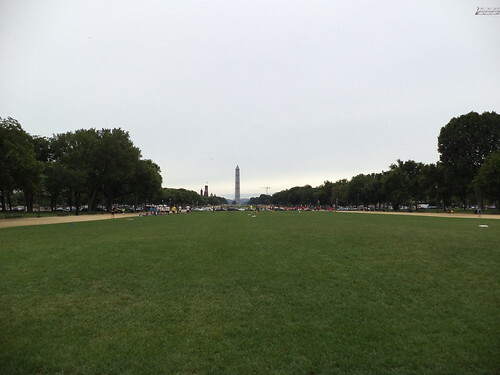 Those places delineate The National Mall. it is a walk of 1.2 miles. Along the way, the nation's heritage is available for all to see and visit. All these buildings were closed during the shut down. As the mall gets upwards of 24 million visitors a day, that's a lot of people unable to see and experience who we are. As we walked west, I took photos of some of the buildings along the way. Having Phil with us was a great help. "What's that building?" I'd ask. "That's um...the National Portrait Gallery, I'm pretty sure," he'd respond. 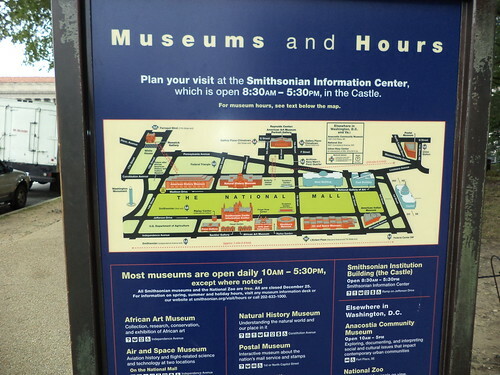 It wasn't until we got to the Washington Monument that there was an actual map of what museums lined the Mall. This is the Smithsonian Air and Space Museum. 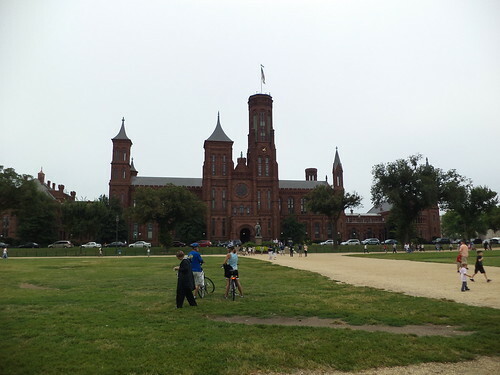 This is the iconic Smithsonian Castle. It was the original museum but now is administration. 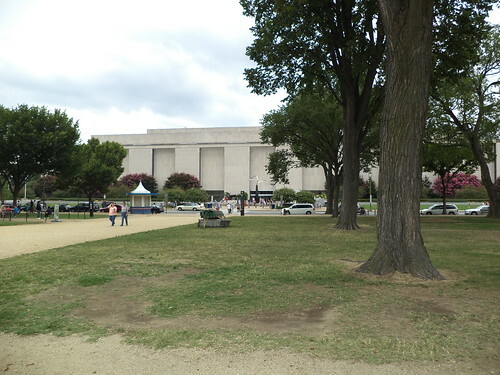 Air and Space is toward the middle of this section of the Mall. 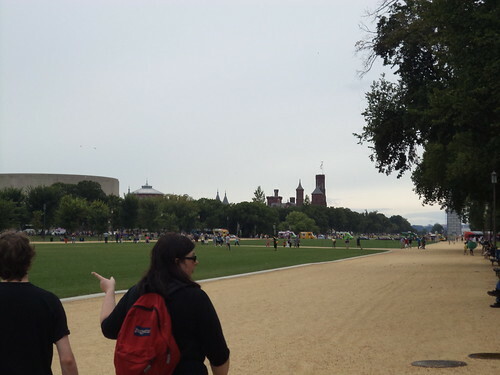 The "castle" is near the Washington Monument. 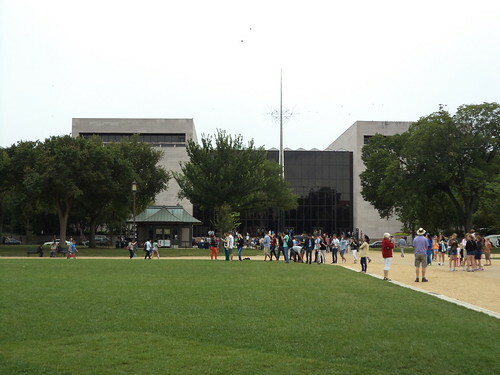 This is the National Museum of American History. This building is huge. 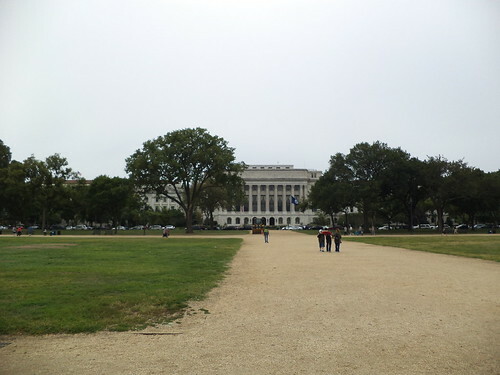 It's also located near the Washington Monument, across the Mall from the Smithsonian castle. 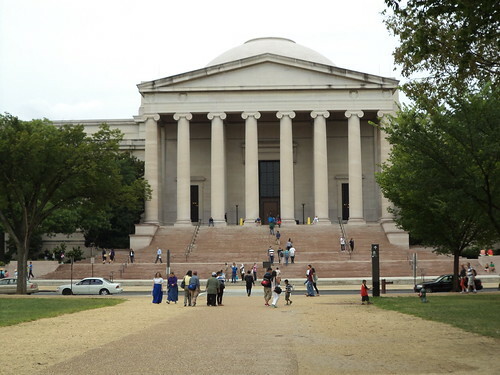 This is the National Gallery of Art-West Building. I could see spending a whole day just in the west and east buildings. This is the National Museum for Natural History. This is another place I could spend an entire day. I know me. There are other buildings that I didn't think to write down their names. Phil thought this was the National Archives. I drool at the thought of being surrounded by the nation's important documents. 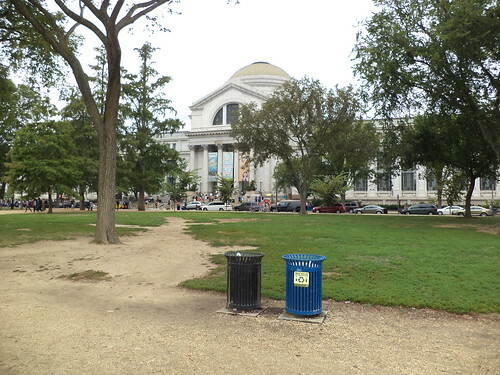 And there's this building which is, Phil thought, a part of the administration of the Smithsonian's various museums. 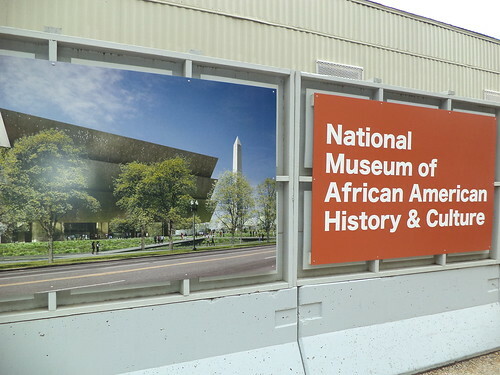 Joining this august array will, in June of 2014, be the National Museum of African-American History and Culture. 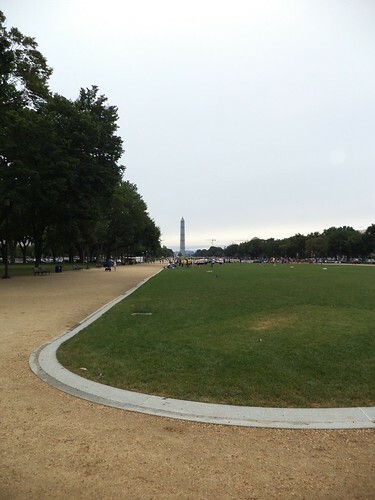 It will be located just a block north of the Washington Monument. So many places to go and see. Spending a day in each one is not a far-fetched idea. All of these museums are free. They exist via our tax dollars and via membership. You may come and go as you like, picking and choosing which parts you will see on which day. It seems, to me, to be right that the repositories of our heritage should be located along what could be termed our front lawn. 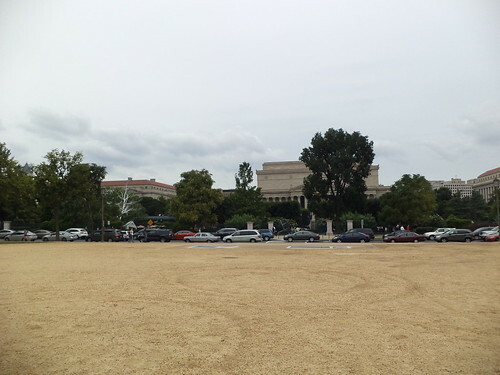 When we were there, frisbee football events were taking place on sections of the mall. I look at photos from other large events and I think, "I know where that was. I was there." 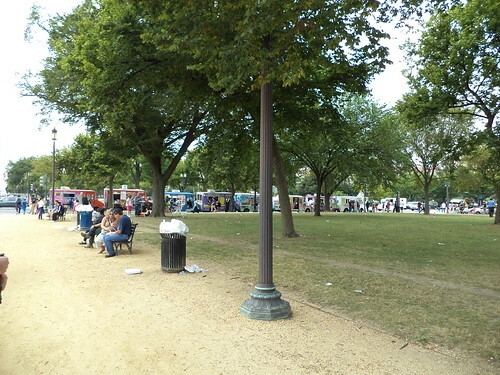 I think one of the best examples of how much this is our park was seeing the lines of food trucks set up about half-way down the Mall. Yes, the garbage cans in this area were overflowing, but you could get anything you desired to eat, anything. If you wanted it and it wasn't on a food truck, you didn't want it. We had eaten before walking so I didn't check out the prices for viands. It was amazing, however, to see so many food options in two blocks. The National Park Service is tasked with keeping the space of green useable for all of us. Having walked the nearly 2 miles from end to end, I can say they do a fantastic job. The Nation's Front Yard. Yes, that's an apt description.